Arguably the most compelling match-up taking place on the entire ATP World Tour on Saturday afternoon is the one between Ernests Gulbis and Roberto Bautista Agut at the Kremlin Cup in Moscow. This marks the fourth time that these two athletes will meet on the professional circuit, and the third time this season alone. 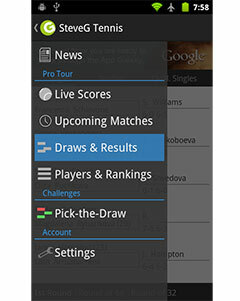 Gulbis leads the head-to-head series 3-0. Gulbis reached the semi-final stage of the tournament with a 7-6(6), 4-6, 7-6(3) victory over Andreas Seppi. He struck 17 aces en route to the 88-minute victory. After struggling with a recent shoulder injury, this is the Latvian’s best tournament showing in months. Next for Gulbis is a meeting with Roberto Bautista Agut, who had a relatively smooth path to the final four, defeating Ricardas Berankis 7-5, 6-3. 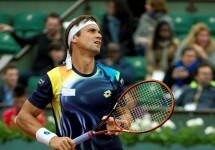 It was a strong victory for the Spaniard, as the Berankis was coming off an upset win over Milos Raonic. This marks the fifth time that Gulbis and Bautista Agut will meet on the ATP World Tour, with the Latvian leading the series 3-0. The Spanird is yet to earn his first win over Gulbis and will be hard-pressed to accomplish that on Saturday.